Most adults can decide for themselves if they want to attend parkrun for the first time, but for children it can be somewhat different. 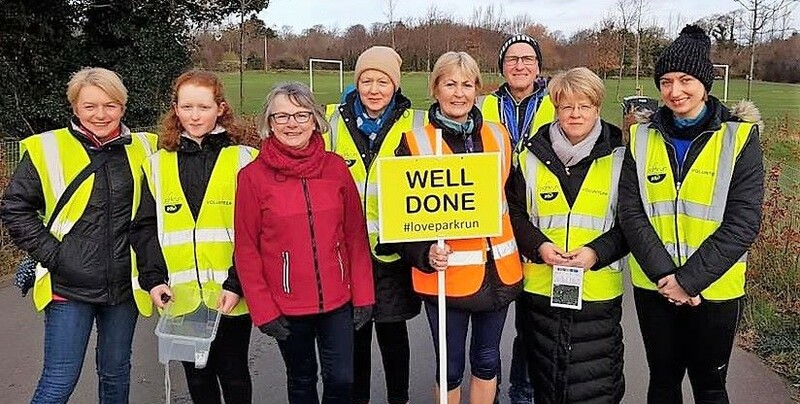 Steven Park, a junior parkrun Event Director, has implemented a scheme that encourages nervous first-timers to take part while providing junior parkrunners with the opportunity to help others. A few months ago at our junior parkrun, we had a seven-year-old first timer who was so excited about his first junior parkrun I thought he was going to explode. The following week he returned again and was equally excited. I struck up a conversation with his parents and it emerged that his school had promoted our junior parkrun and many of his classmates had been regulars for months. This boy hadn’t started coming when his friends did though, because his parents didn’t initially feel he could run on his own, and they didn’t consider themselves capable of running with him. In the end, his parents brought him to run on his own but this boy had missed out on junior parkrun for months whilst all of his school friends had become regulars. So when his friends were all chatting about junior parkrun at school on a Monday morning, this boy had been unable to join in with the conversation. I soon became aware of several other instances where children hadn’t attended junior parkrun for similar reasons. I began to think about what else we could do to encourage participation, and came up with the idea of what we now know as ‘Running Buddies’. 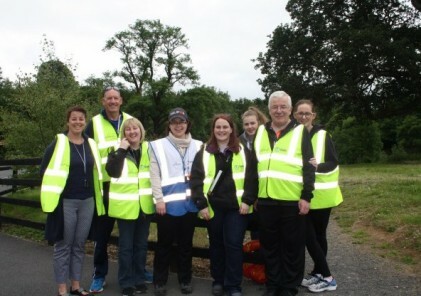 It’s a simple idea – regular junior parkrunners volunteer to be Running Buddies and we pair them off during the first-timer briefing with newcomers who want a little bit more support. The Running Buddy dons a plain hi-vis vest and gains a volunteer credit for escorting the first-timer around the course. It works really well because not only does the newcomer get a guided tour of the course on their first junior parkrun, but both children make a new friend and the Running Buddy learns about giving something back and achieves that feel good factor we all get from volunteering. The scheme has been really successful, the feedback from parents has been phenomenal and we seriously underestimated just how much the volunteer Buddy would actually benefit from it as well as the first-timer. The parents we introduce to the idea enthuse about what a great concept it is, and every Buddy wants to volunteer again, which is great because it creates another volunteering opportunity for young people. We’re really excited to see how the Running Buddy programme develops as word begins to spread. Judging by the enthusiasm of both parents and children we’re certainly not expecting to be short of support and Buddy volunteers. The fun thing about having a Running Buddy is that they tell you where to go and they help you to keep going when you get tired. I really hope I’m a Running Buddy one day to help someone who is new. It was fun being a Running Buddy. I enjoyed helping out. It was nice to have some company for the run too. I think it is a good idea as it makes you nervous when you first start. We had a fun time running with each other. My new friend was only little so we had fun skipping some of the time and also sang Twinkle Twinkle Little Star whilst running. I really enjoy being a Running Buddy because you can make new friends and have a good time. This is a fantastic idea. Luke has been running with Leon for most of Leon’s junior parkruns and it has really helped him gain confidence and make friends. I just love the atmosphere and how caring the children are to each other. Fabulous event.